Before the session print sufficient textboxes for one per child. Soak the tea bags in a small amount of hot water. When cool squeeze the excess water out of the bags and put them to one side. 1. Place the tracing paper or parchment strip on top of the ‘Dear Hebrews...’ textbox. 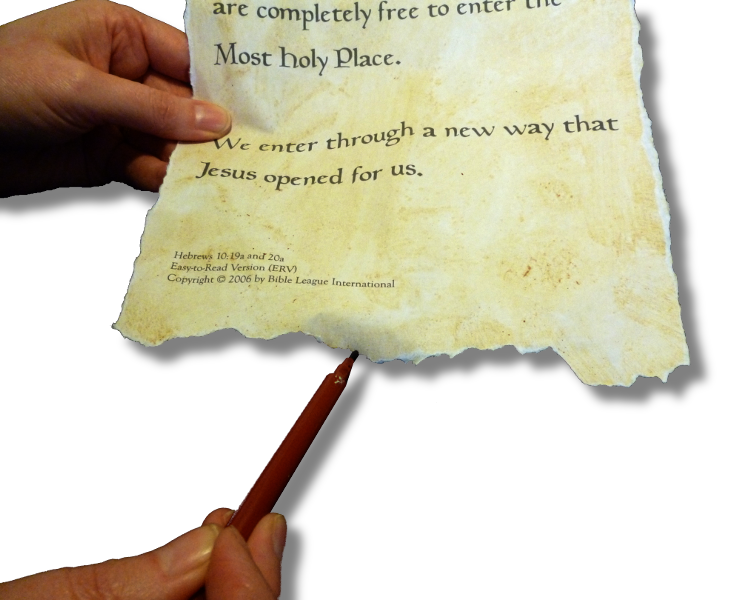 Position the strip over the word Hebrews and carefully trace the word onto the parchment. Put the parchment to one side. 2. 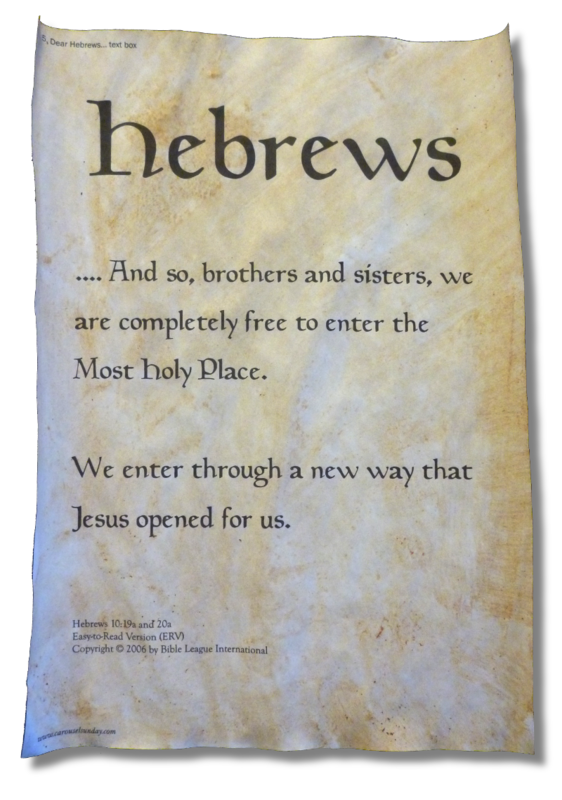 Rub a used tea bag over your ‘Hebrews...’ textbox. The tea bag is likely to split but don't worry – keep rubbing the tea leaves into the paper. Brush off the excess tea leaves. If the paper is slightly damp leave it some where to dry. Meanwhile decorate the word Hebrews on the strip of parchment. If you have a gold pen outline the letters in gold. 3. Your old looking paper should now be dry. Carefully tear tiny pieces from the edge of the paper to make it look even older, then use the brown felt-tip to colour in the edges. 4. Place the decorated parchment on top of the old looking letter. Carefully punch two holes through the layers as shown in the picture. Thread a piece of string through the holes.